Jordan Hacker enters his fourth season as the head coach. Last year, the Warriors won the East Region Championship on their way to an 18-1-1 season. Jordan Hacker is originally from Yakima, WA. He is returning to the Warriors after playing for the program from 2007-2009. 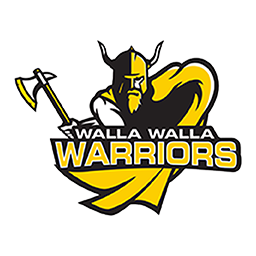 During his time at Walla Walla he was the captain of the 2008 NWAACC Championship team. 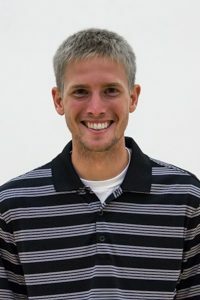 After two successful years with the Warriors, Coach Hacker transferred to the University of Colorado at Colorado Springs, where he played his last two years of collegiate soccer. Coach Hacker also played for the Colorado Blizzard; a semi-professional indoor soccer team. “Jordan is an outstanding individual with high morals and an incredible work ethic. He is a WWCC alum and is a Warrior through and through. His 2008 Men’s team won the NWAACC Championship after winning three consecutive overtime games in route to the first NWAACC soccer title for the college. Jordan’s work rate and leadership ability was always very evident for me as his coach, and why I believe he will carry on the success we have had at WWCC. Coach Reinland has done a fantastic job developing young coaches at WWCC and I believe Jordan will be yet another one, and the program is in good hands”. -Chad Bodnar – former WWCC Soccer Coach. Coach Hacker is married to Robbie Hacker with their son Alexander and daughter Belle. B.S., University of Jamestown; M.S.Ed., Northern State University. Gabrielle Parks enters her first season with the Warriors as the assistant coach in the fall of 2018. Gabrielle Parks is originally from Mudgee, Australia, and comes to the Warriors from coaching at Northern State University for the past three years, two as a graduate assistant coach and one as a full-time assistant coach. Gabrielle played three years at the University of Jamestown. Gabrielle and her husband Nolan reside in Walla Walla.